Charles and Sandy Parks, Ekalaka, Mont, bought lots 5, 22, and 37. 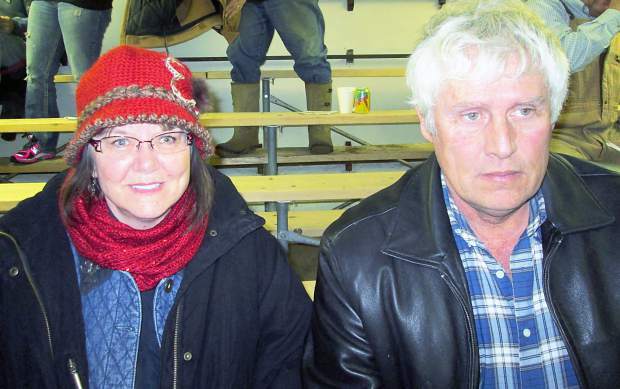 Aldeen, Clint and Janine Ebel, Herried, S.D., bought six bulls. Location: At the ranch, east of Pierre, S.D. Beastrom Ranch, owned by Jim and Barb Beastrom and sons-in-law and daughters, Wes and Brittney Spencer and Shad and Brandy Ludeman, produced a very strong sale that brought back many repeat buyers. This sale provides plenty of selection, from the full purebred Gelbviehs, along with red and black Balancer bulls, each with varying percentages of Gelbvieh bloodlines. 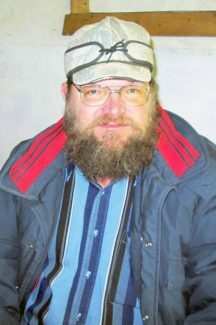 The Beastrom family has a long history of producing some of the best phenotypic animals in the Gelbvieh breed as evidenced by their success at the Denver and Black Hills Stock Shows. This was, perhaps, the best set of bulls from top to bottom that this firm has ever offered. The sale was again held at the ranch, right in the heart of central South Dakota. DV Auction provided the video of the bulls, projected on screens during the sale. The bulls were all penned nearby for viewing of the live bulls prior to the sale. There was plenty of interest on the top purebred bulls, as well as strong competition all day long. The weather on sale day was less than perfect with three to four inches of new snow and temperatures in the single digits. The weather didn't bother, as an extra big crowd assembled and bid aggressively to buy this good set of bulls. There were some herd bulls sold off the top, but the heart of the sale were the good commercial cattlemen. Top selling bull of the day was Lot 1, selling for $25,000 to the Shroeder Ranch, Wessington Springs, S.D. Here was a red, polled purebred son of BEA Passion 001XET and out of a daughter of Polled Perfection. With an 88 lb. birth weight, he weaned at 787 lb. to ratio 112, and had an adjusted yearling weight of 1448 lb. He had EPDs of CE 9, BW 3.2, WW 69, YW 97, and REA 0.47. Lot 15 sold for $10,500 to longtime repeat buyers, Nagel Bros., Gettysburg, S.D. This bull was a red, polled, very thick made son of CTR Sandhills 0065X. This member of the Beastrom National Western Stock Show string had an 80 lb. birth weight and a weaning weight of 758 lb. With a yearling weight of 1,416 lb., he measured a 38.5 cm. scrotal measurement, and had a 15.56 sq. in. rib eye. Dustin Rippe, Sutton, Neb., bought Lot 17 at $10,000. He was a black Balancer bull with a 74 lb. birth weight and a weaning weight of 746 lb. Sired by CTR Sandhills 0065X, he had EPDs of CE 10, BW -0.2, WW 73, YW 103, MILK 23, and TM 59. Lot 28 sold for $6,250 to Jerry Bush, Pierre, S.D. This black polled Balancer son of BVLK Buckingham was out of a Pay Stub daughter. Born at 97 lb., he weaned at 831 lb., and had a yearling weight of 1,385 lb. Handel Farms, Menno, S.D., purchased Lot 82 at $6,250. Born at 88 lb., he was a black polled son of Cross Fire 500 W and out of a Pay Stub dam. He weaned at 738 lb. before growing to a yearling weight of 1,352 lb. The gavel fell at $6,000 and Lot 8 had been purchased by Nagel Bros., Gettysburg, S.D. Here was a red polled son of ABR 003X with a 69 lb. birth weight and a weaning weight of 792 lb. Also selling at $6,000 was Lot 46, and he was bought by Jerry Bush, Pierre, S.D. This was a great sale for the Beastrom family and they served an outstanding grilled hamburger with fantastic baked beans.